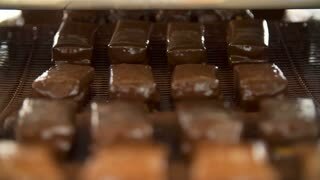 Brown candies on conveyor line. Hand putting shavings on sweets. Refined taste of new dessert. 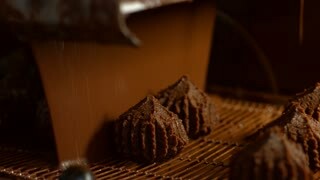 Sweet delicacy made of chocolate. Candies rapidly moving on conveyor. Hand puts sweets on conveyor. 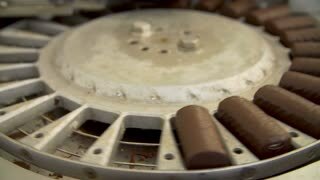 Machine pouring chocolate on candies. High speed of production. 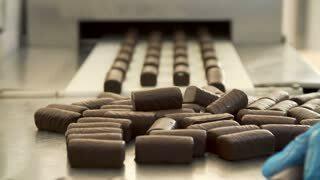 Brown candies moving on conveyor. Hand taking candies from conveyor. 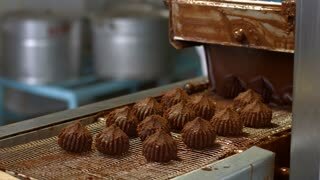 Production of sweets with chocolate. Dessert for gourmets. Brown sweets on conveyor belt. 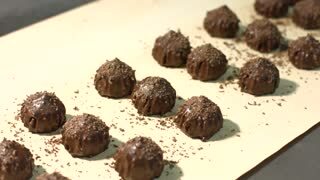 Machine pours liquid onto sweets. 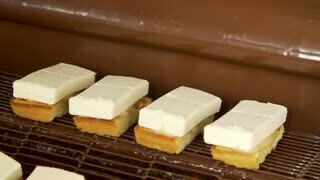 Dessert produced at local plant. 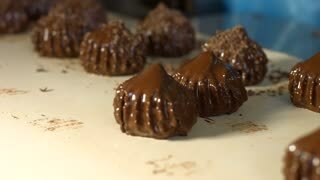 Chocolate glaze for tasty candies. Rows of candies on conveyor. 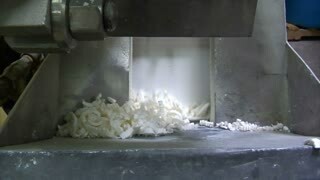 Hands removing candies from conveyor. Savoury dessert with chocolate. 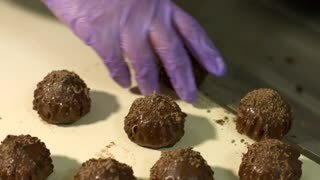 Production of tasty sweets. Candies moving on conveyor belt. 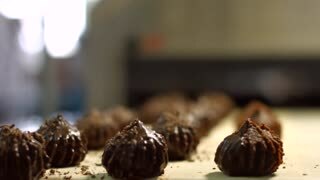 Rows of dark brown candies. Fresh high-quality sweets. Try one of these.